We are offering a wide range of Refrigeration Copper Pipe. These are of high quality & clients can avail these products from us at most economical rates. In addition to this, these are well known for its technical efficiency & long working life. We are one of the famous organizations, involved in offering a wide gamut of Hard Drawn Copper Pipe to our clients. These pipes are the popular choice for water lines which joined a sweat, compression, crimped or pressed connection. Also, we are offering these products at very affordable rates in various sizes to cater the requirements of our valued clients. Our organization is well known in the industry, engaged in offering a broad range of Soft Drawn Copper Tube to our prestigious clients. 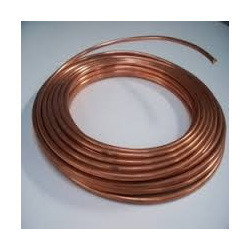 This copper tubing is most often used for the supply of hot and cold water, and as a refrigerant line in HVAC systems. 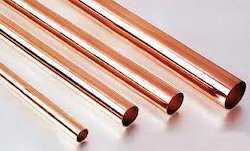 In addition to this, copper tubing is joined using flare connection, compression connection, or solder. Looking for “Refrigeration Copper Pipe”?